Now that was fast. 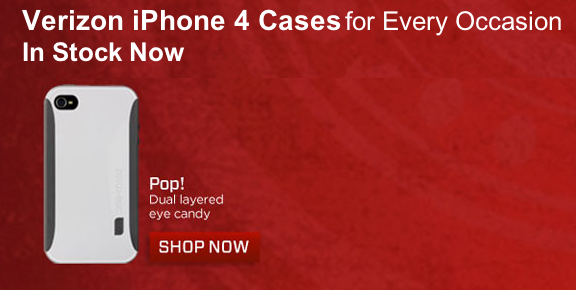 Case-Mate already has their Pop case available to order for the Verizon iPhone 4. The only change done to the case was a slight change in the volume buttons and silent switch cutout placements. You can now order your Pop Verizon iPhone 4 case and be protected from day one for $34.99.